After thermal degradation of wood the lignin degradation products were separated by gas chromatography and identified by mass spectrometry. The mass spectra and chemical formulae of 82 monomeric lignin derived degradation products are presented. Thermische Abbauprodukte des Holzes wurden gaschromatographisch getrennt und massenspektrometrisch identifiziert. 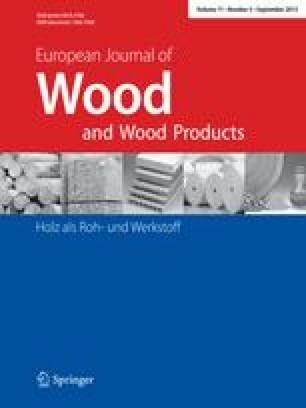 In diesem Beitrag sind die Massenspektren und Strukturformeln von 82 monomeren Lignin-Abbauprodukten zusammengestellt.